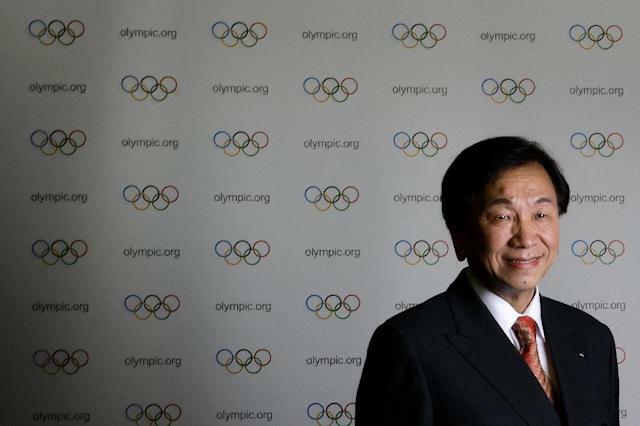 Lausanne (AFP) - Employees of the International Boxing Association (AIBA) were locked out of their offices on Wednesday with president Wu Ching-Kuo set to be ousted from his role, according to an AFP journalist. Security guards have been blocking access to the AIBA offices in Lausanne. A notice pinned to the door and signed by an interim executive committee said that a motion of no confidence had been called against Taiwan's Wu. AIBA, which organises amateur boxing including Olympic competitions, has been struggling with instability and financial difficulties. In a statement issued on Tuesday, AIBA had said that an extraordinary congress would be held within the next three months. "Dear AIBA employees. Please be informed that the AIBA executive committee have passed a motion calling for a vote of no confidence in the current AIBA president, Wu Ching-Kuo," the notice said. "In addition, motions were passed enabling the establishment of an interim management commitee (IMC) to manage the work of AIBA and AIBA headquarters and the organisation of the extraordinary congress. "Consequently in this moment of transition it has been decided to close the office for the remainder of this week. The staff are being offered these three days as holidays." Wu, who has been head of the federation since 2006, is blamed for causing financial irregularities by his opponents, who believe AIBA is on the brink of bankruptcy. Later Wednesday, the AIBA blasted what they described as attempts by the executive committee "under the unrecognised 'Interim Management Committee', to attempt to illegally seize control of the organisation's headquarters". "Their actions have not only prejudiced the operation of AIBA and the livelihoods of all of its employees, but threaten the forthcoming AIBA World Championships in Hamburg," said a statement released to AFP. "A representative of this committee has since been removed from the premises by Swiss police, but AIBA's headquarters must now remain closed pending the decision of the relevant authorities." The International Olympic Committe (IOC) said it was monitoring the controversy at the AIBA with whom it has been at loggerheads over doping procedures, scoring systems and financial management. After receiving a number of assurances over these sticking points, "the IOC released the AIBA payment (from the 2016 Rio Olympics) which had been held back," the IOC told AFP. "Following the decisions of the recent AIBA Executive Committee meeting on 24 July 2017, the IOC is seeking more information, to be able to determine whether further action is required within its remit."